Image Size: 18 X 18 in. 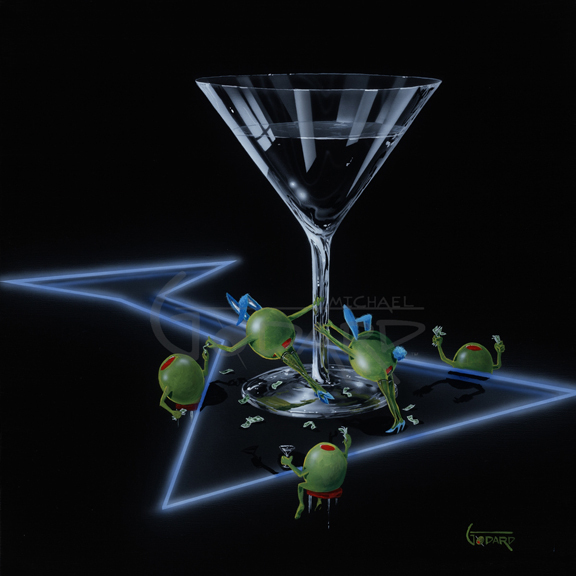 These olives are having the best time in the 4th piece in my Dirty Martini Series. The girl Olives with pimentos on the bottom are strutting their goods with the bunny ears on. The Guy Olives with the pimento on the top are having a great time with the entertainment. Check out the fishnet stockings, that’s Hot!